Now you can share your pictures and videos directly from your camera and that too without a computer. 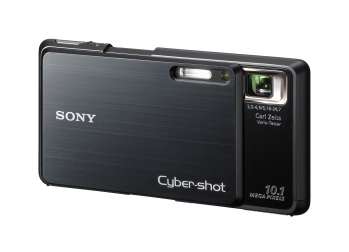 Sir Howard Stringer, chairman and CEO of Sony Corporation introduced this product himself, the much-rumored but never seen before, DSC-G3 Cyber-shot Digital Camera, the world’s first Wi-Fi camera with a built-in browser. Its â€œEasy Upload home Pageâ€ can easily upload your pictures and videos to many photo and video sharing sites including flickr, Picasa, YouTube and many more. It also has a digital photo album, which can filter pictures by date or even by faces! Cool! Other features include a 3.5-inch wide Xtra Fine LCD screen, Face detection, Intelligent Scene Recognition (automatically picks the best automatic scene setting), Smile Shutter (snaps when people smile) and “Dynamic Range Optimizer”, which automatically balances contrast and detail. Available with a hefty price tag of $499, we think that this little baby is worth a try, but only when it gets cheaper!